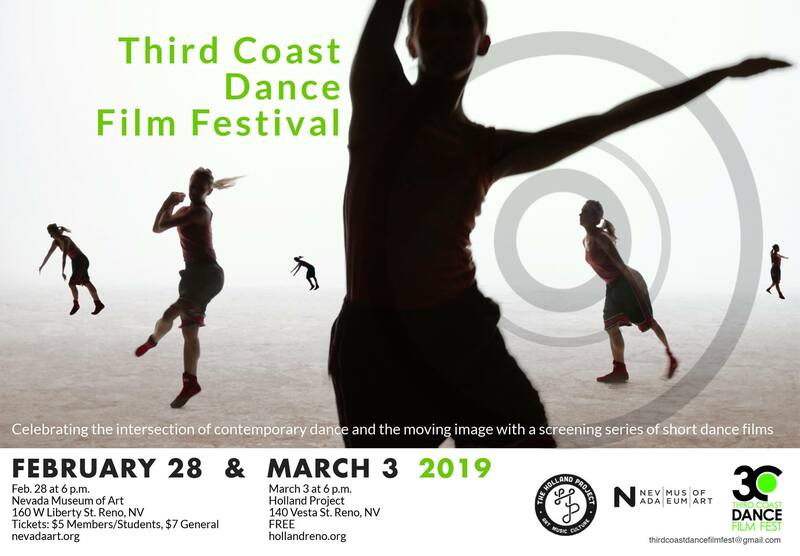 The Third Coast Dance Film Festival celebrates the intersection of contemporary dance and the moving image with a screening series of short films. All Nevada premieres, the 2019 festival will present 21 films over two days from the USA, Australia, Canada/South Africa, France, Russia, South Korea, Singapore, and the UK. There are two unique screenings, one at the NMA and one at Holland Project. Tickets: $5 Members/Students, $7 General *Advance online ticket purchase recommended! March 3 at 6 p.m.